If you are in the process of getting a business started then you may find that you need an office copier. However, you may not want to sign yourself up to a contract that will stay with you for years. You don’t know where your business is going or what the future holds. It’s times like this that people might consider getting a used copier. 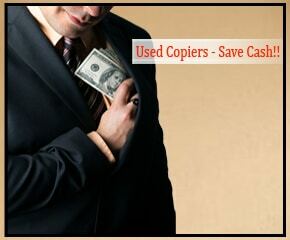 If you need a used copier in Denver then look no further than Denver Copier. We carry the best used copiers from companies you trust like Xerox. Our used copiers are in great condition, and we have a wide selection to help you get exactly what you need. All our used copiers are in great condition. This is always the biggest concern when people are looking for used copiers in Denver. At Denver Copier we make sure to get our copiers from responsible companies that took care of their machines. We do this to help guarantee that your machine will be ready to go as soon as you need it. You can also rest easy because we do offer satisfaction guarantees on our used copiers. You will have to work it out with your leasing agent, but we will do what we can to make sure you don’t get stuck with a lemon. We are also able to help you with other problems you may encounter down the road. Just because you aren’t on an actual lease does not mean we can’t help you. Most copier leasing companies will be willing to still help you with service and consumable contracts if you are interested in that. Give us a call today at Denver Copier. We are excited to talk with you about your used copier for your business. We have the best selection of used copiers in Denver and we know we will be able to help you get exactly what you need.